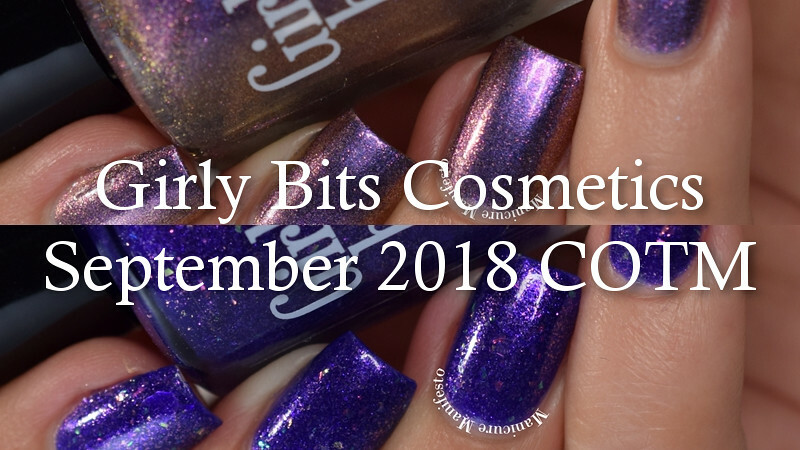 Today I have the September COTM shades from Girly Bits Cosmetics to share with you. We're getting ready for the fall weather with deep purple shades. Let's take a look at swatches. 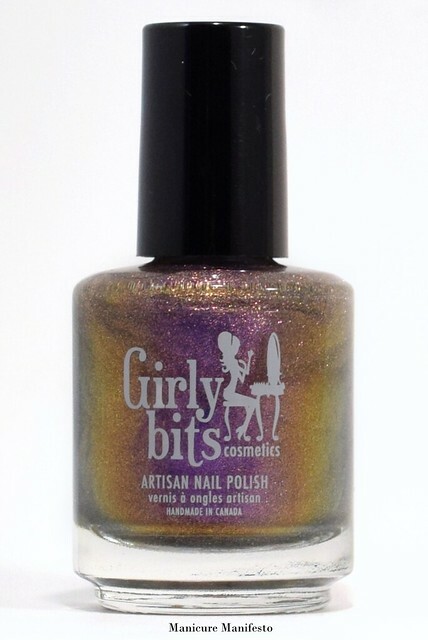 The Day Shift is a flecked foiled shimmer that shifts from deep purple to copper to gold. The formula was very easy to work with taking three coats for full coverage. This dries to a satin finish so top coat will help add a glossy finish. 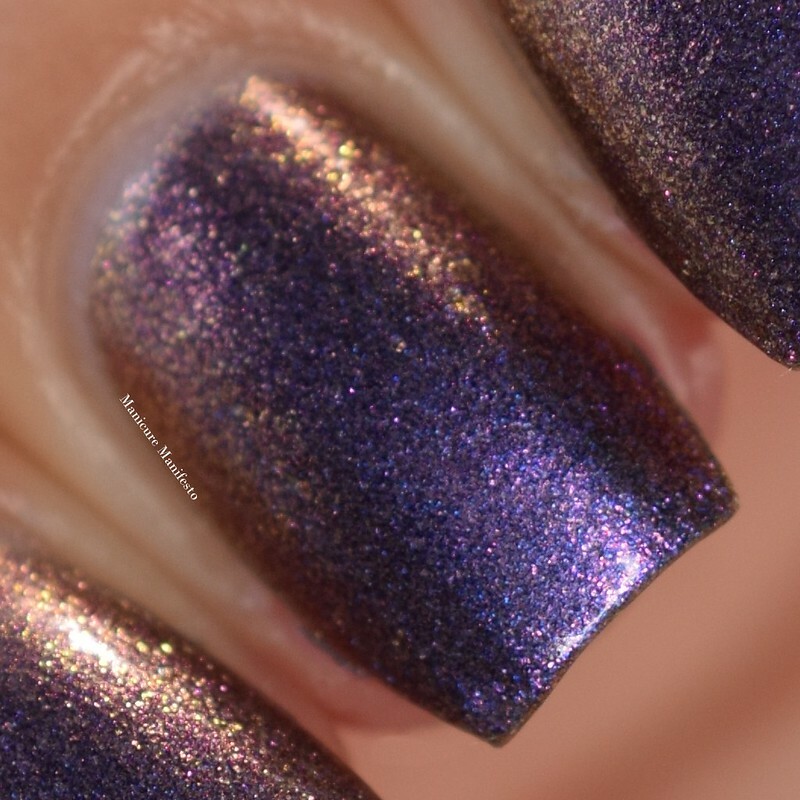 Photos show three coats of The Day Shift with one coat of Girly Bits Cosmetics Glitter Glaze top coat in daylight spectrum lighting. 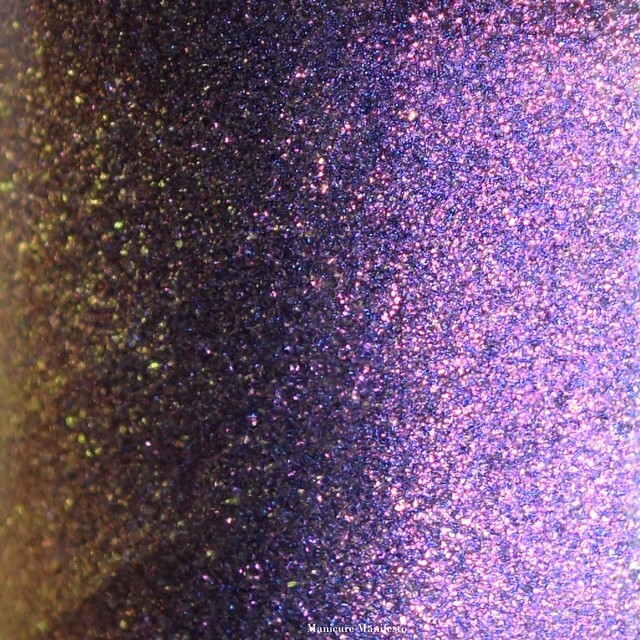 Grape Escape features a grape purple jelly base filled with a gold to pink flecked shimmer, and larger metallic flakies in shades of pink green and gold. 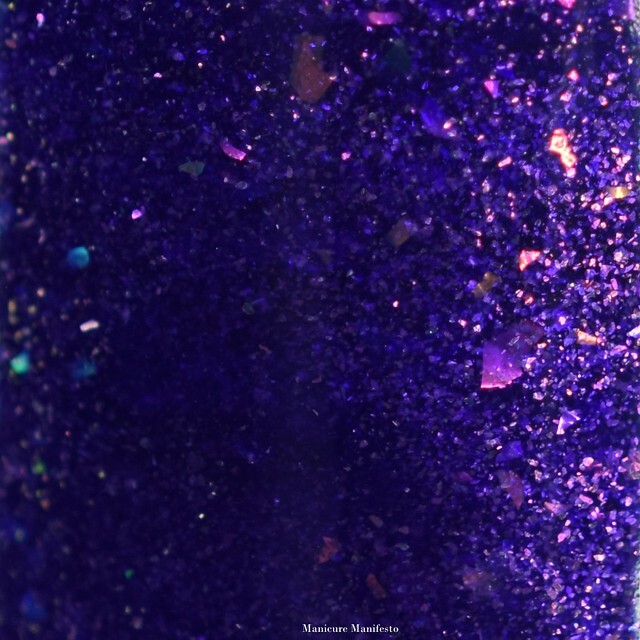 The formula was easy to work with and took three coats for full coverage on my nails. If you have shorter nails or a less distinct nail line than me, two may be enough for you. 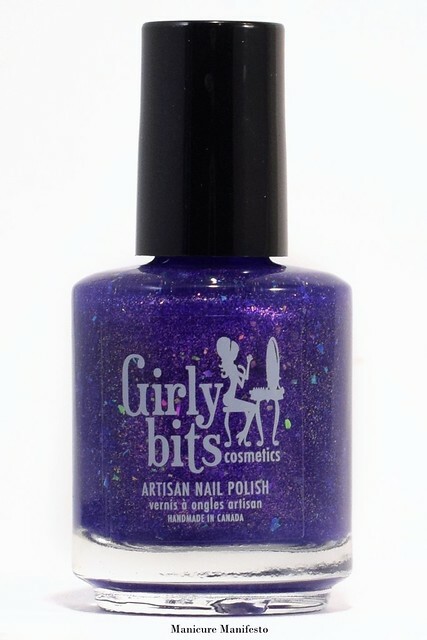 This dries down relatively smoothly but has the occasional flakie divot, so you'll want to top coat for a perfectly smooth finish. 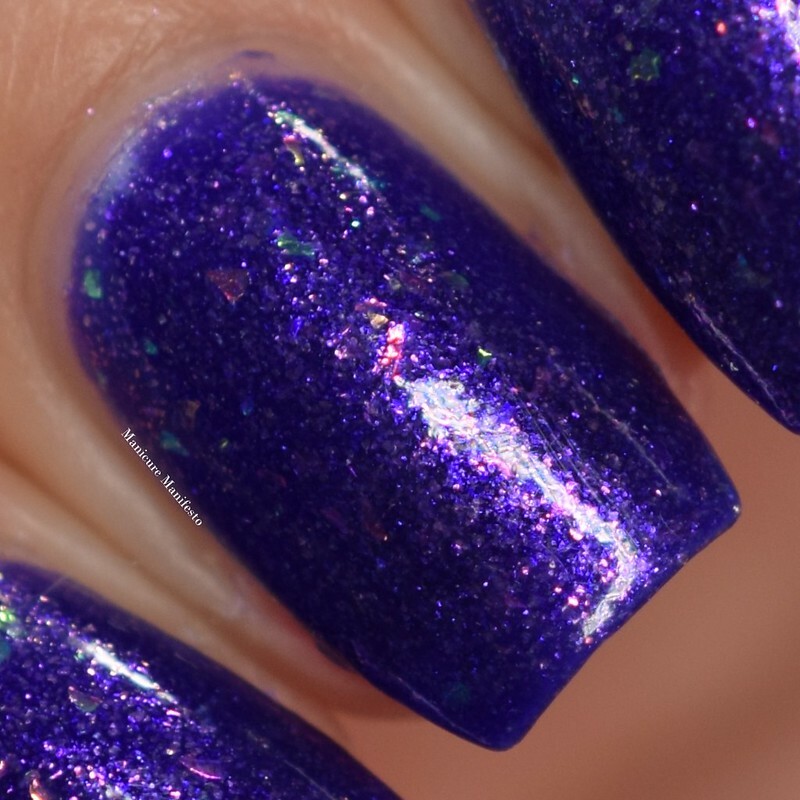 Photos show three coats of Grape Escape with one coat of Girly Bits Glitter Glaze top coat in daylight spectrum lighting.